So…I am going to be teaching you about nuclear fusion. Ya right! That may be one definition of ColdFusion but the one we’re interested in is a rapid web application development platform. What does that mean? 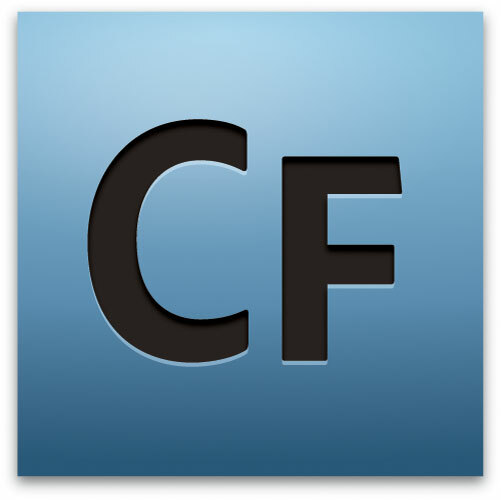 ColdFusion was designed to make connecting regular HTML pages to databases easy and fast. It certainly accomplished that, but since ColdFusion 2.0 it has become a full-fledged scripting language capable of many other powerful functions for developing web applications. ColdFusion is easy to learn and can be used to create any number of server-side web applications, quickly and typically with less code than you might see in ASP (Active Server Pages) or PHP. Before I learned ColdFusion I developed primarily in ASP and couldn’t believe how few lines of code I would use in ColdFusion when compared to doing the same task in ASP. That code I’m talking about is called CFML, ColdFusion Markup language. Because CFML is a tag based language, it is very easy for someone who knows HTML to make the transition to CFML. But that’s just the starting point! Since ColdFusion MX was released, the language has evolved to accept a more object oriented scripting syntax, similar to that of Java. If you’ve dealt with any programming language before, including Java, or want to do more advanced things in ColdFusion, you now have access to this more standardized way of coding through the <cfscript> tag. I will be showing examples of both tag based and cfscript syntax in many of the tutorials on How to Program with ColdFusion. Whichever method of scripting you choose to use, the ColdFusion server will process it server-side and display the output via HTML to the browser. Your users will never see the actual CFML or script in the “view source” option in their browser. They will only see regular HTML syntax. 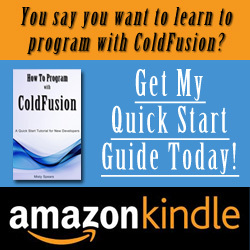 What Can You Do With ColdFusion? Create a security infrastructure that will allow for a “member only” area requiring a log in. There really is no limit to what you can create with ColdFusion once you learn the language. So be creative, solve a problem and start coding. Category: Introduction Tags: ColdFusion, ColdFusion Tutorials, Introduction to ColdFusion, What is ColdFusion? I am a self-taught HTML user, but knowing all the brain power it took to wrap my head around HTML and bits of PHP, I’m not sure I have the patience to learn another programming language. Thanks for the walk-through though! Thanks for stopping by Bonnie! I will actually be including some HTML tutorials down the road as well, so we may have something for you yet! Great intro to coldfusion though!